Just regular folks. 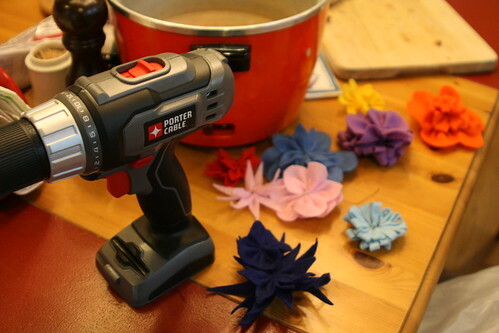 : Crafty day! Today was a much needed down day for the family. Not a single thing scheduled which is rare for us on a spring Saturday. Vince played with the neighbors, Edda watched some TV, I worked on some crafts and Jeremy took a nap! All good things. 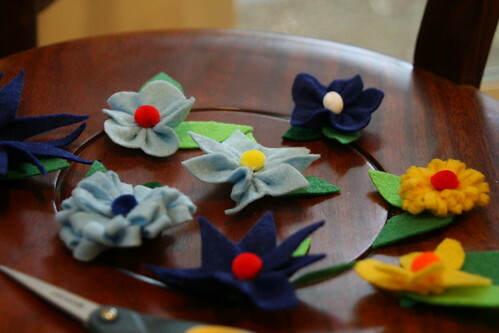 I made some crafty felt flowers.